The rules and regulations regarding moving your car to Mexico are complicated, confusing and frustrating. Driving your foreign-plated car depends on one’s immigration status; tourist permit or visitante, temporary resident or residente temporal, or permanent resident or residente permanente. Mexico also has a “free zone” which is roughly 25 kilometers or 15 miles from the border. This eliminates having to deal with this confusing issue in order to drive one’s vehicle across to border towns. And the best bit of information is this: If you are moving to Cabo you don’t have to deal with this! The entire Baja peninsula and State of Sonora (Arizona border) is a “free zone!” You may import your foreign plated vehicle to Cabo and drive for as long as you want. But just in case you are curious, here are the rules. First, one must obtain a temporary import permit or TIP at the border. The TIP is valid for the length of one’s immigration status. In other words, if you import your foreign-plated vehicle under a tourist visa, you must remove the vehicle prior to the expiration of the 180-day visa. Alternatively, when importing a foreign-plated vehicle under a temporary residency permit, the vehicle may remain as long as the immigration permit is valid. Here comes the kicker, if one’s immigration status changes from temporary resident to permanent resident, a choice must be made. One may either remove the foreign-plated vehicle from Mexico, remove the car from Mexico and import it formally with the assistance of a customs broker, or sell it to someone else with a temporary residency permit. In order to import a foreign-plated vehicle to Mexico, the vehicle must be within a certain age, be free of liens and encumbrances (no leased vehicles). None of this applies in Cabo! Remember, if you’re moving to Cabo you don’t have to worry about obtaining a TIP or complying with these rules. 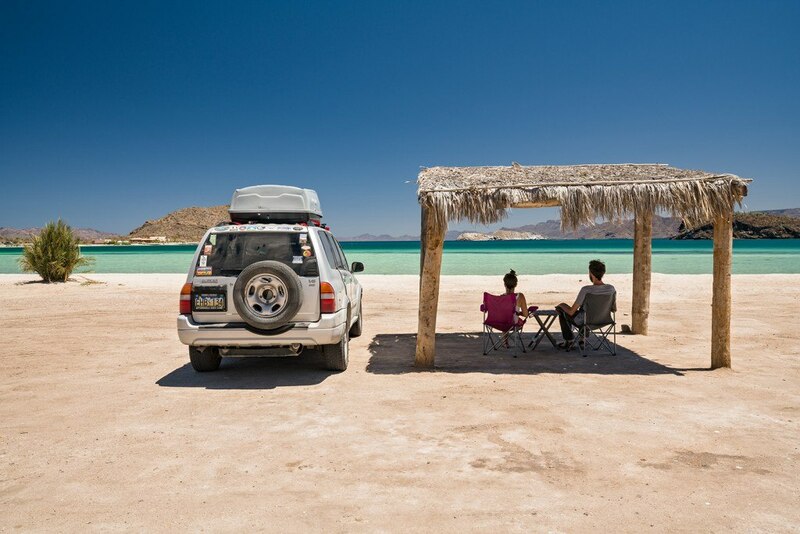 The entire Baja peninsula does not require a vehicle import permit! One may cross the border and drive all the way to Land’s End, the famous arch in Cabo San Lucas, and keep it here as long as you want! The U.S. or Canadian plates and stickers for the vehicle must remain current. Now wasn’t that simple? Cabo – it’s where you want to be!